The Original ROG Xonar Phoebus PCIe comes with controller. Apparently this card has a good 3d sound placement in games. Good specs for this price. Can someone explain how this would benefit me with a 2.1 speakers and a Razer headset if any benefit? 960m is just a rebadged 860m with a miniscule clock increase. In all other respects, it's the same GPU. I thought it was IPS but contacted both Asus and Saveonlaptops website, they both informed me this exact model is indeed TN not IPS. ASUS ROG usually means heavily overpriced, unless you really into the brand. dont IPS panel monitors have a slower response time? so for gaming i would say use TN. and for watching movies and professional art and or graphics work i would suggest IPS. Comment If such a thing as a 4k, 144hz screen existed then I suppose they might have included it. 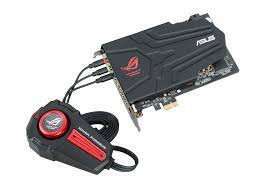 Comment The emmiter is not made by Asus, it's made by Nvidia. Furthermore, not everyone requires it and many will already have such a thing if they are considering buying such a high spec monitor. I wouldn't welcome one. At this price it needs 4K to. If only I had the cash... Heat!! That 780m is AMAZING! I had it in an Alienware some time ago and I could max ALL games out on Ultra. A GTX 850m is not comparable to a 780m its considerably less powerful. Considering the 880m is a rebranded 780m your advice is not very good. The 780m offers almost twice the performance of the 850m on average. The only mobile GPU's offering more grunt than a 780m is the 970m or 980m both of which cost considerably more in a laptop. I agree customer service/support is as important or more important than price/item. Some of the reviews on google (39) are duplicates of the trustpilot ones (37) but a company can't survive from the income of just 76 customers and bad news travels quicker than good? I will be posting my experience on google/trustpilot once new rig built as I feel on price and delivery of item they delivered and if I require support will defo update on what is outcome. Showing as £149.94 inc.VAT now. Your confusing laptop processors and graphics cards with offering the same performance as desktop parts. You could have just bought a gaming pc then a very cheap laptop and used steam stream or one of the many services to game on your laptop from your pc. The Original ROG Xonar Phoebus. Appears to be for delivery to store/home only. While it looks a good price if you're after that particular card, it still seems a bit meh in a post-GTX 970 world. 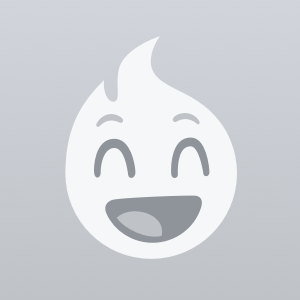 (That's right! I mentioned the 970... everybody take a drink :)) Not voted either way. It;s a decent price for a well featured board. Under the right conditions, this would be the basis for a great PC. Personally, I don't see the point in using any of the FM2 socket processors on a gaming build. The FX series are considerably better bang for buck and you will almost certainly be adding a discreet graphics solution anyway. However I can envisage builds where this would be pretty useful. Uh oh is this a new trend I see coming? AMD hipsters? It's the top end of what AMD has designed to be a budget range of processors. Your putting a lot of faith in HSA by spending this much in my opinion. got the A88x pro, the dual x16s are a nice touch though. Makes me almost want one but im going to see what the next gen has and whether to build a new system around that or wait for AMDs 2016 answer for gaming. Jesus wept. I remember the days that the top of the line Dual GPU cards costed no more than the rip off 500 odd quid. GTX 295 GTX 590 GTX 690 But this and the Titan Z? are literally over priced to the point that there is no real requirement or even incentive or justification to purchase. Yea, didn't realize it was just 2 290x's. Oh well. Same with the gigabyte one. I actually prefer the gigabyte coolers too, but they do require a case with plenty of room for a long graphics card. You can get a palit 770 for £220 though.. It might be but this is the ROG version which is much cooler, quieter and probably about 10% more powerful than a standard GTX760. To be honest, as good as this is, I'd rather spend £210 on a R9 280x. The Gigabyte version of this is only 210 quid on Amazon. The reason why this monitor has grabed my attention, and i search the internet day in day out to find it hopefully cheap is because of its resolution and the rest of its features. 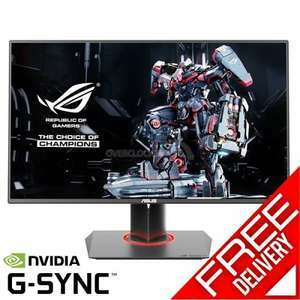 I do own an asus 144hz screen, and i am ready for a higher resolution but not UHD, that means that i also have to spend another 250 pounds for sli. So acer UHD £499+£250 for another gtx770 £750. 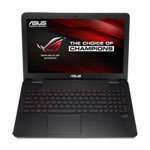 Asus rog swift 599. When it reaches 400 i m ready for it. Please show me where I mentioned anything about years in the future? You'll argue the toss but I don't find that claiming something the best when it's the only one of it kind or one of a handful, as I said in my previous reply until more such monitors are released I hold no value in any review claiming this the 'best thing since sliced bread'. Cold, still a 8bit panel. 60hz max + 4k on 28" is just too small. Just picked up an SSD and looking to grab a mobo, processor and ram replacement. How do these parts stack up for future proofing - is the mobo decent, how's this i5 stack up? Do you need anything else e.g thermal paste etc? Thanks in advance! 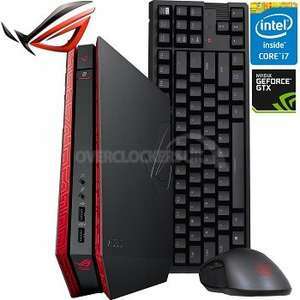 Edit - How does this stack up http://www.dabs.com/products/asus-intel-z97-gamer-bundle--includes-z97-k--intel-core-i5-4670k---8gb-vengeance-pro-black-memory--9GBT.html?src=2? The liquid cooler seems slightly excessive unless you're overclocking, usually the stock provided Intel one does the job right? 16gb of RAM is also slightly excessive at the moment with 2133 ram looking v.similar in benchmarks to 1866mhz from what I could find (seems a couple of percent difference which is getting down to elitist levels). ddr4 coming soon i dont rate z97 boards. end of 2014 ddr4 boards coming and 20n cpus. dabs got good service i think i got 780ti from them and service was 5 star. got email sizzle25 back on until midnight mon. is it working? I haven't used Scan much, why do they receive so much hate? I'm genuinely curious. Probably better getting an i5 4670k, then putting the money saved towards a better graphics card. The price for dedicated amps or a dac will be similar if not more than a sound card. I decided it against it because of the countless complaints I saw on forums about this card and interference. Most likely a code to acitvate/download the game. Much too expensive for them to bundle a physical copy compared to adding on a code, and I've never heard of a promoted game like this being given away physically, always digitally. Earlier this year I bought a DELL Inspiron 17.3" with blu-ray player, fullhd with matte screen, 2 tb of hard disk for over £400 cheaper than this one and it is far superior. Very cold from me. For this much you will be better off with a desktop pc. Much easier to upgrade and ive been told you can build one with ease too except if you need portability. Got a pair of these of the sale/trade section, it's a very nice headset. I take them on plane journeys with me as the noise cancelling works a treat. All the stock on the deal's offer have been sold now, but any of the todays deals you can visit the store and order at their desk. They order via the website there for you. I've been to their store a number of times to pickup todays deal. Fantastic Headphones at a great price cant recommend these enough at this price! Is DPF on a Ford as bad as people say ? Best way to hide cables after Wall mounting an LCD tv? McDonalds Monopoly 2019 - They've hinted!